The Australian Catholic Bishops Conference appointed Fr Gregory Bourke as Executive Secretary of the Bishops Commission for Church Ministry and Director of its Office for Clergy Life and Ministry, and commencing in January 2016. Archbishop Hart, President of the Australian Catholic Bishops Conference, acknowledged with gratitude the priestly leadership of Fr Bourke over many years within the Archdiocese of Melbourne. 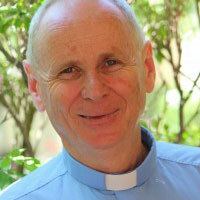 Fr Brian Moloney will finish his term in the role in mid-January when Fr Bourke takes up his appointment. Fr Bourke was ordained in 1981 and has served the Archdiocese of Melbourne as Assistant Priest, Parish Priest, staff member of Corpus Christi College and Chaplain of the Bushfire Recovery ministry. Since 2011, Fr Bourke has been Director of Ministry to Priests and Ongoing Formation of Clergy in the Archdiocese of Melbourne. During the recent bishops plenary meeting at Mary MacKillop Place, North Sydney, Archbishop Hart said, ‘As Director of the Office for Clergy Life and Ministry, Fr Bourke will bring his rich pastoral experience, care of clergy, knowledge of priestly formation and ongoing formation, together with his understanding of the issues faced by clergy both locally and nationally. ‘Fr Bourke’s ministry will require his engagement with bishops and leaders across Australia,’ Archbishop Hart added. It is anticipated Fr Bourke will cease his appointment as Director, Ministry to Priests, in the Archdiocese of Melbourne this month, December 2015. Archbishop Hart said, ‘we thank him for his generous ministry to the Melbourne presbyterate and wish him every blessing for his future ministry across the many dioceses of Australia’.